It’s that electricity that runs down your spine and to the ends of your fingers when you get your first glimpse of the Skyline over the leafy green tops of Georgia. It’s that smile that beams across your face when you’re jumping headfirst in to the Chattahoochee on a blistering summer day, or roaming the neighborhoods that pepper the city late at night with friends. … It’s the feeling deep down in the marrow of your bones that you get from knowing that Atlanta is home. 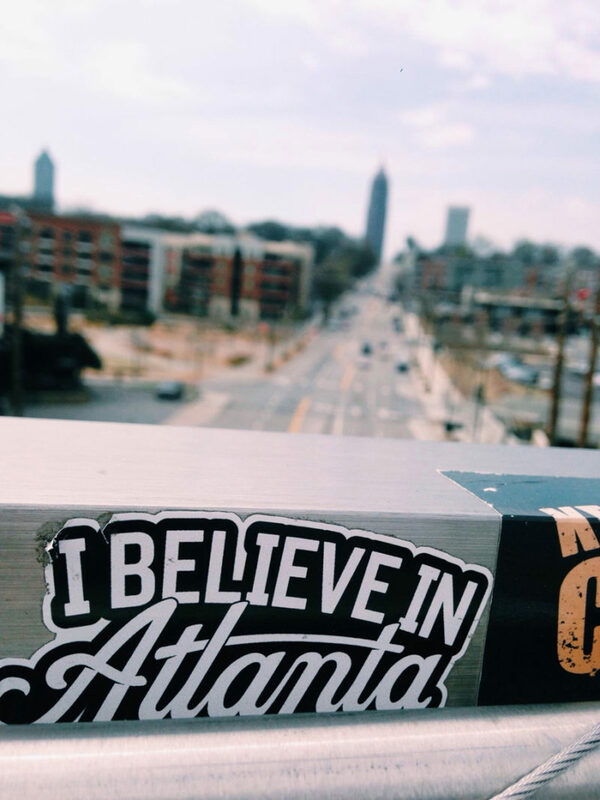 If you call ATL home, then this campaign might bring to mind another of our unofficial slogans: Pray for Atlanta (the brainchild of local artist R.Land). I like the optimism in this new one, though. Atlanta is far from perfect, but it’s getting there. Seeing things like the Beltline project and new music festivals pop up really make me eager to see where this city’s going. Atlanta, I believe in you.